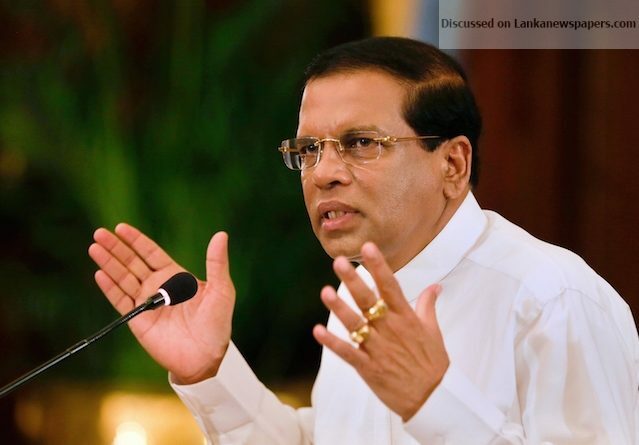 President Maithripala Sirisena said the Provincial Council Election will definitely be held before the next Presidential Election. The President said so while addressing a public gathering, organised to strengthen the Sri Lanka Freedom Party (SLFP) in Polonnaruwa on Saturday. He said that hindrances including constitutional issues will be rectified to hold the PC election soon.The Presidential election will be held at the due moment but it will not be held in advance prior to schedule. He added that no one has the authority to hold the Presidential election as they wish as it solely vests in him (the President). The President added that he took several brave decisions in the last four years as the President. In the same vein he is now engaged in the process to wipe out the drug menace and the the Police Department has been strengthened to combat the drug menace. He noted that the Police Department will be subjected to radical changes in the near future. The President said SLFP founder late S.W.R.D.Bandaranaike formed the SLFP not as a political force but as a broad force, with Sri Lankan identity to take the country forward. The President said SLFP is not weakened as some aver and it should not be forgotten that the SLFP is the main factor to form a government. He said that after the late S.W.R.D. Bandaranaike, he is the only SLFP party leader, who appointed a commission to inquire into frauds and corruption of his own party members including ministers and MPs. Accordingly the commission appointed to look into fraud and corruption during the last three year period (2015 to 2018) will be in progress by next week.